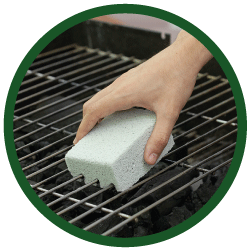 Cleaning Block Grill is a hard block specifically designed to get rid of the most stubborn dirt and grease. It is the perfect tool for the most easy and effective cleaning of your grill or griddle. Its power to get rid of the most encrusted dirt and grease is exceptional! Its structure adapts to the form of the metal bars of the grills, allowing a perfect cleaning, not only of the top of the bars but also of the sides of them. Cleaning Block Kitchen is a block softer than Cleaning Block GRILL specifically designed to get rid of the most stubborn dirt and grease. It is the perfect tool for the most easy and effective cleaning of griddles, oven trays, iron cookware… Its power to get rid of the most encrusted dirt and grease is exceptional! 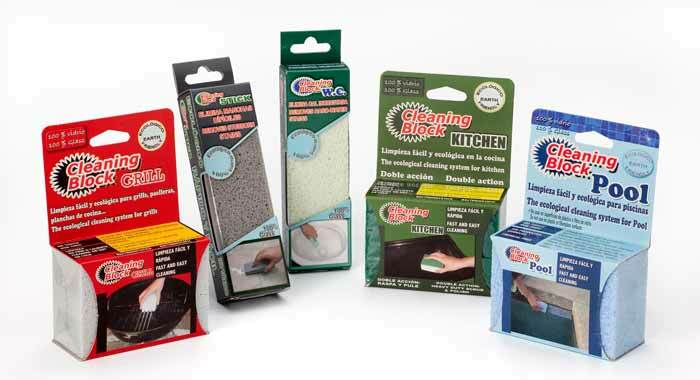 Cleaning Block WC is the perfect tool to clean every surface in the bathroom! 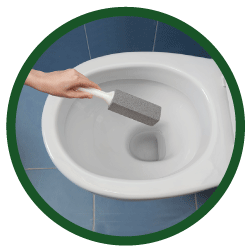 Cleaning Block WC is made from recycled glass with a consistency similar to the pumice Stone. The multiwalled structure of Cleaning Block WC gives to it a level of abrasiveness that converts it into a powerful tool that cleans the most stubborn dirt. Cleaning Block WC has been specifically designed to get off the most encrusted dirt without making any damage to porcelain or hard surfaces. 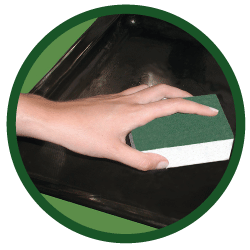 Cleaning Block Stick is the perfect tool to clean hard surfaces. 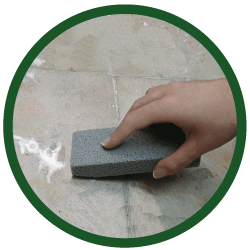 Cleaning Block Stick is made from recycled glass with a consistency similar to the pumice Stone. With Cleaning Block Stick, you can get rid of the most encrusted dirt. While it is really difficult to clean this kind of dirt with chemicals or other cleaning tools, Cleaning Block Stick will do it without any effort!! 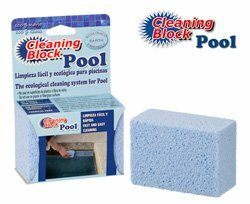 Cleaning Block Pool is a hard block specifically designed to get rid of the most stubborn dirt, lime, calc or algae. 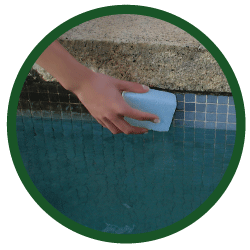 It is the perfect tool for the most easy and effective cleaning of your pool tiles. Its power to get rid of the most encrusted dirt is exceptional! It is perfect for the cleaning of pool tiles. It does not pur any harmful or chemical substance to the water.